If you don’t like simple Pop guitars with subtle harmonies pass your way. 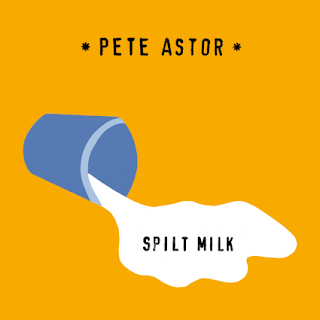 Pete Astor has been in the music business for a while now and does really personify Mr. Music. And by the way that’s one of the song titles too of his new solo album. The LP is a 'Go Between' delicious nostalgia and nutritious food for the soul. I am told that the Velvet as always is not very far, now I don’t know the Velvet really well but based what I have heard it sounds fair enough. It would do a big disservice to this album to take short cuts and reduce it to a nostalgic travel in time. The album is not stuck in a time warp and The Getting There for example does not suffer the stamp of time. I see you may tell me this is very Cohenesque? Maybe, and so what is it not Confucius, who said nothing new in the world happens... it is just that the same things happen to new people. Take your time with this album. 'You live - you learn' seems to be perfect in order to approach this 10 track album, apprenticeship in a world where immediate results are paramount seem at odd with modern parameters however I can only guess Pete would agree with the principles. 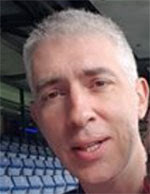 He is the one probably guiding his students thru a similar journey when he teaches music at the University of Westminster. But back to the album. This is a nicely written collection of tunes that will stand the test of time unlike some 2016 music. Spilt Milk - that’s the name of the album - is a kool and intimate album but the topics in the songs are universal from grown up men not opening up to emotions to what it is to have a best friend. This is a Pop album in a traditional sense. Back up vocals, tambourine, pedal steel and viola including the drums are soft enough to let the bespoke guitar make sure that the calm and gentle voice is positioned at its best. This album will probably not make the top of any chart but is inadequately current. If you like good songs you will like it. Spilt Milk is like one of those friends you come back to regularly, not overly demonstrative but highly reliable.